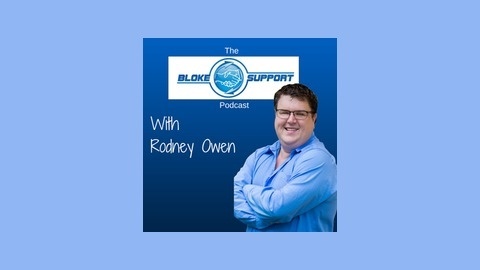 Rodney Owen from Bloke Support hosts The Bloke Support Podcast. Bloke Support helps men, families and couples to survive and thrive in today's modern world by providing insight, knowledge and tools on the key issues men face today. Relationship issues including communication, sexuality, intimacy, parenting and finding love. Mental Health and Depression. Self Development including emotional baggage, coping strategies, confidence and emotional support. Anger Management. Work life balance, career advice and career goals. Health and wellbeing. The Bloke Support Podcast will feature guest interviews and actionable ideas to help you better. For many men, the thought of having any sort of erectile dysfunction problem is worse than death! So many men link their identity and masculinity with their sexual prowess, so when men have problems with achieving erections, they become ashamed, embarrassed, stressed and even depressed. Because of this, they don't talk about it and the problem doesn't go away. 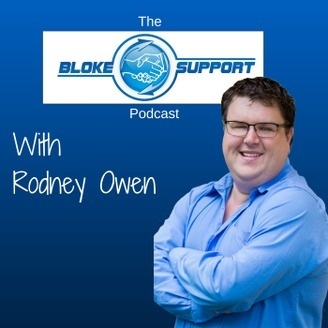 In this episode of The Bloke Support Podcast, I spoke with Jacqui Oliver from End the Problem. Jacqui is a sexual functions expert and has helped many men end their erectile dysfunction within hours and without medication. She talks about what causes erectile dysfunction and how you too can fix your issues.